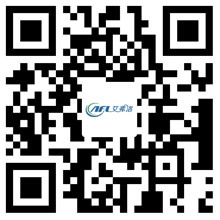 The Method And Cycle of Cleaning The Centrifugal Fan - Hangzhou Airflow Electric Appliances Co.,Ltd. In a centrifugal fan, the coil is responsible for passing the cold heat of cool water to the air passing through the fan. In order to ensure high efficiency heat transfer, the surface of the coil should be smooth, if the dust is attached to the pipe and the fin surface of the coil, will reduce the heat and heat exchange, heat transfer efficiency is reduced; if too much dust, will cause the fins The air passage between the plug, so that the fan coil to reduce the amount of air. The fan coil is usually cleaned once a summer. Cleaning methods can be clean with a strong vacuum cleaner, or rinse with water, scrub; for oil or other chemical pollution, will have to use the appropriate chemical cleaning agent cleaning. Not a last resort, can not use the overall way to clean up the demolition. Fan coil generally use multi-blade double inlet centrifugal fan. Dust sticking to the curved part of the fan blade will cause the performance of the fan blades to change and increase the weight. If not timely cleaning, air volume will be significantly reduced, increased power consumption, increased noise. Usually 1 year cleaning 1, or 1 summer cleaning 1 times. As the impeller has a volute surrounded, clean and difficult, can be used to clean a small vacuum cleaner. The fan pipe inlet pipe is equipped with a water filter to prevent debris from clogging the coil or stuck the valve. In order to keep the water system clean, reduce the resistance, remove the water flow noise, maintain the flow, the filter should be cleaned regularly. Solenoid valve main detection solenoid valve opening and closing is normal, close is tight, electrical insulation is good. If the solenoid valve is not open, you can temporarily turn the valve under the screw to open the valve (only temporary emergency). Noise check every 2 years, respectively, check the high, medium and low fan noise. If the noise is too large, abnormal sound, should be tightened fan bolts or fuselage bolts.